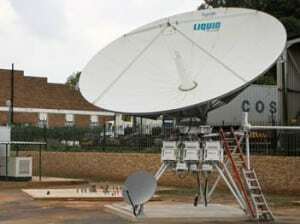 [Via Satellite 07-18-2014] African telco and IP provider Liquid Telecom has expanded its preexisting contract with Eutelsat for additional capacity over Sub-Saharan Africa. Under the new multi-transponder agreement, Liquid Telecom gains capacity from Eutelsat 7B. The satellite, formerly Eutelsat 3D, was renamed and relocated following the launch of Eutelsat 3B. The contract stretches to 2019, and adds momentum to Liquid Telecom’s satellite push. Liquid Telecom has been investing heavily into the satellite side of it business, where company CEO Nic Rudnick said fiber is “neither commercially viable nor practical to lay.” The company is the first to build a satellite hub at Teraco’s vendor-neutral earth station in South Africa. Liquid Telecom is using the hub to route traffic within Africa, rather than backhauling to Europe.